Little history lesson to start things off: the first LEGO game I ever played was LEGO Star Wars: The Video Game for the Wii. I was taking a break from World of Warcraft at the time, and, as a fan of Star Wars, it looked like a neat diversion. It was so much of a diversion, in fact, that I managed to find the upper limit of studs you could collect (I want to say it was somewhere in the range of 2-4 billion). Skip forward 10ish years and 25ish games. I've not played all of them, but I've picked up and devoured a fair few of Tt Games's LEGO iterations, and my interest in the latest of them, LEGO Batman 3: Beyond Gotham, should come as no surprise to any one who has followed this site, or me, for any length of time. While named after the Caped Crusader, Beyond Gotham also goes to great lengths to encompass as much of the DC universe as possible, bringing in not only the Justice League and the various colors of Lanterns, but also the characters of the 60s Batman TV show. How does it bring together such a wide variety of characters? Through a goofy comic story, of course. Brainiac, a super intelligent AI originally from Superman's home planet of Krypton, decides that he wants to shrink the galaxy's planets to preserve them for a collection he's starting. To do this, he captures a Lantern from each color of the emotional spectrum, and uses them to power a shrink ray. He makes his way to Earth, where the Justice League and their various Rogues, are forced to work together to prevent him from yatta yatta yatta. Yes, the story is dumb, but it's the exact kind of thing that both Marvel and DC have been pushing out for years. For those that can deal with the outlandishness of the situation, this, much like LEGO Marvel Super Heroes, works off the strength of the voice cast and Tt Games's ability to present likeable caricatures of our favorite heroes. The banter between an always brooding Batman and a hopeful, yet naive Robin never gets old, especially when Robin is busy trying to get close to Superman, or attempting to convince his mentor that his stirring speech on the bonds of friendship was what broke Brainiac's mind control, and not the electrical shock that preceded it. The story also allows some of the voice actors to really strut, as a good portion of the characters are affected by Lantern emotions during the course of the story. Watching Flash zip around the screen yelling “Mine!” because of an orange avarice ray, or seeing the Joker show genuine affection and concern for Batman after being affected by the light of the Star Sapphires, is genuinely entertaining and used to great effect during the many cut scenes. The game's best surprise is the incorporation of the Batman TV show, with Adam West providing the voice of 60s Bats as well as showing up as the “character in peril” collectible found throughout all the levels and the over world. He does a great job hamming it up with every line delivery, and I dare anyone who's seen the 60s TV show to not have a dumb smile on their face as they play through the hidden level devoted to the show. If you've ever played a LEGO game, you know what to expect from the game play. Enter a level, break everything made out of LEGO bricks, collect studs, and put together any bricks that are left bouncing to solve puzzles. Occasionally you get stuck because you didn't break every single thing on the screen, thereby missing the obvious solution to the puzzle presented to you, but it's been that way since LEGO Star Wars and I don't think that's changing anytime soon. Another major change from the earlier LEGO Batmans is the introduction of the Costume Wheel. As everyone knows, without actual super powers, Batman is reliant on his never ending supply of gadgets, and where past games simulated this with special pads that allowed him to don different gadget suits, Beyond Gotham keys that to the triangle button, freeing you to choose whatever suit you want without having to search for a costume pad. It also makes switching between characters in Free Play mode easy, as the entire roster is available at the touch of a button. It's a small change, but one that makes a tremendous difference. Playing on a PS4, the game looks amazing, and where other games chugged along with load times between areas, Beyond Gotham never makes you wait more then a few seconds. It's also a blast seeing the big figs introduced in LEGO Marvel Super Heroes tearing around the DC Universe. Multiple characters, like Bane and Martian Manhunter, have transformations from standard size LEGO figs into their larger counter parts, while others, like Lex Luthor and Cyborg, have gadget suits available to them that produce a big fig as well. They have even added the onomatopoeia effects for punches and kicks to the 60s TV show characters, which flash on the screen during the action, complete with horn sound effect. The only major complaint I have has to do with the game's soundtrack. 3 full Batman games in and Tt Games is still using Danny Elfman's Batman '89 score for just about every scene in the game. In fact, the only time the music shifts from the score is when other characters with theme music of their own take to the air; it's still down right hilarious hearing the Wonder Woman theme every time the heroine takes to the air. Yes, the songs are iconic, and nothing elicits an “Oh, Batman!” response quicker then Elfman's theme, but after three games there has to be someone who can come up with something different to play in the background. LEGO Marvel Super Heroes 2 is a not terrible time and a pretty good game. You know if you want to play this game just based on the title. After 12 years, a LEGO game is a LEGO game is a LEGO game. 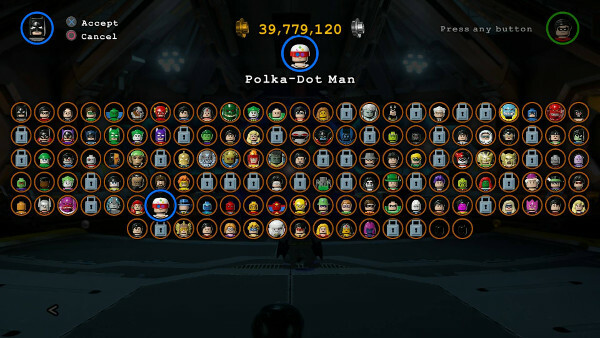 LEGO Marvel Super Heroes represents Traveler’s Tales finest work with the LEGO property.